The teams “consisted mostly of women who looked about 30 years old. The Singaporean government accepted the North’s request for their training and let them enter Singapore,” it quoted a source as saying. The two North Korean medical teams received a month of intensive training at the internal medicine and surgery departments of a Singaporean hospital. The North chose Singapore because healthcare is considered the best in Southeast Asia, the news agency added. The North has an embassy in Singapore. 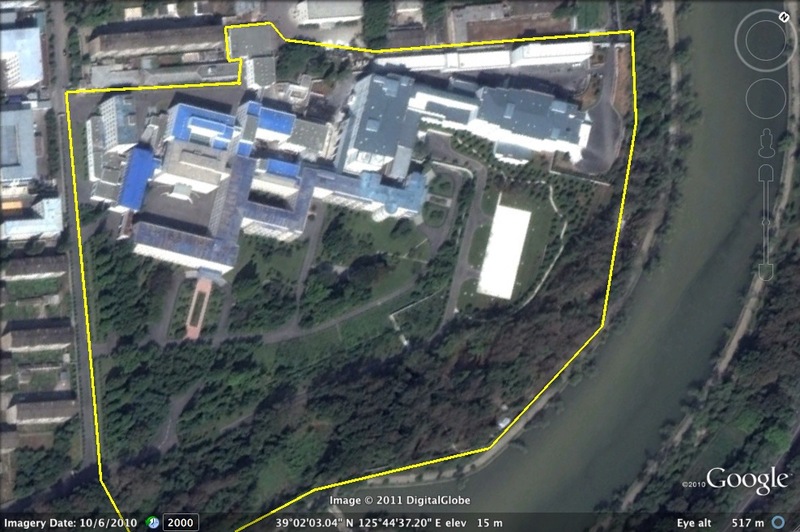 Images available on GoogleEarth show that a medical center that treats core DPRK elites, including members of the Kim Family, was expended after an extensive renovation between 2009 and 2010. 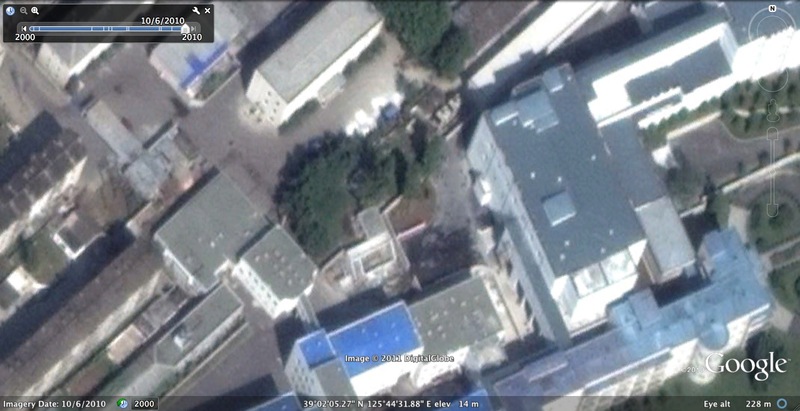 The Ponghwa Clinic (also known as Ponghwa Recuperative Center, the Presidential Hospital) is located in Sokom-dong, Pot’onggang-kuyok (Pot’ong River District) in Pyongyang, 1.5 km (or just less than a mile) northwest of Kim Il Sung Square. 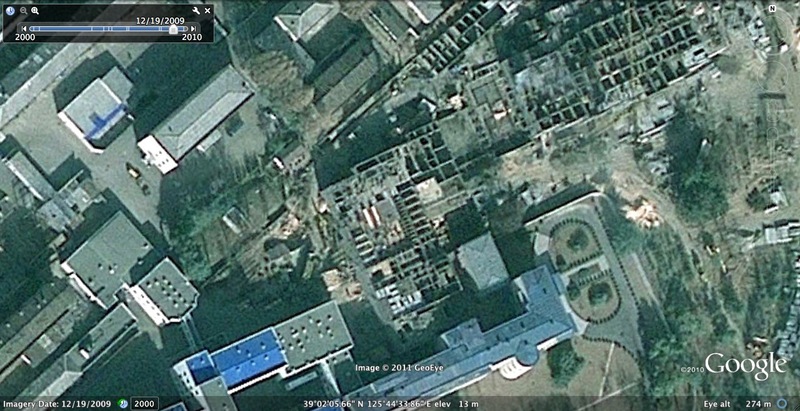 An image taken on December 2009 shows a significant amount of construction activity occurring on the premises of the Ponghwa. 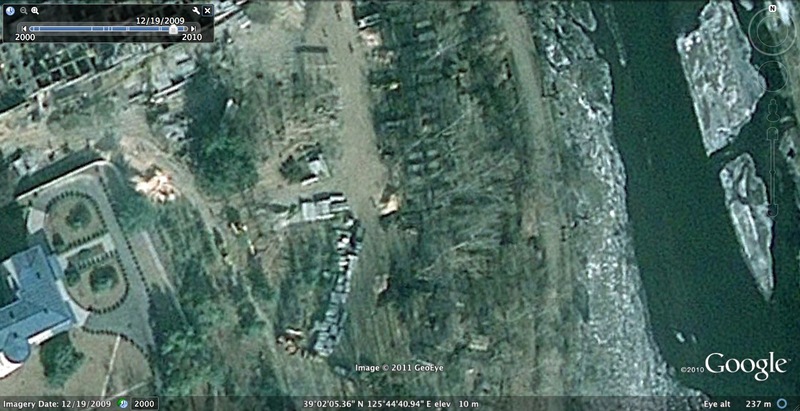 A building attached to the Ponghwa’s main complex was under development and the image shows construction equipment and structures containing building materials. The labor crews mobilized for the project had made significant progress in a short period of time with the ground floors and frames completed for two buildings attached to the Ponghwa’s main complex and two unattached buildings near the Ponghwa’s northeastern gate. Imagery from October 2010 shows that all exterior construction was completed. Attached to the Ponghwa’s main complex were two buildings which form one L-shaped structure. The new structure brings the Ponghwa’s east entrance approximately 120 m closer to the eastern gate. The eastern entrance for vehicle traffic is a porte cochere, a common architectural feature in Pyongyang buildings; prior to this recent renovation, the Ponghwa had four entrances in this style. The east end of the new structure is highly ornate with two shorter wings on either side. Two buildings and a parking lot and service area were added to the Ponghwa’s northeastern perimeter, opposite of the new L-shaped structure. One building is three stories high and extends to a personnel and service vehicle access point. The other building sits beside the Ponghwa’s north gate and is between six and seven stories. These buildings may be connected to the main complex via underground corridors. The Ponghwa’s recent renovation also included several modifications to security facilities for both the new buildings and the complex in general. The Ponghwa’s eastern gate was upgraded and reinforced and moved approximately 20 m away, toward Ponghwa Street, from the nearest entrance. An additional guard station and gate were added west of the new structure. A fence erected during construction was retained and upgraded, or a new fence constructed in its place. These latter security measures seem intended to discourage curious personnel or visitors from access to the new buildings. For cosmetic, as well as security reasons, there have been a number of plantings of trees with heavy foliage. The last major construction at the Ponghwa Clinic, based on available images, occurred during 2003 through 2005. This construction added a number of support buildings around the perimeter of the main complex. The Ponghwa Clinic has a number of unknown acute, specialty and support departments (emergency, laboratories, general surgery, etc). Physicians and nurses are educated at Pyongyang Medical College which is linked to Kim Il Sung University. Many physicians working at Ponghwa received additional education outside the DPRK. According to Helen Louise Hunter, patients are given apartment-stye rooms with a sitting area because, unlike most all other medical facilities within the DPRK, patients are permitted to receive visitors. Patient rooms also have regular heating, air conditioning and running, hot water. Unlike other hospitals in the DPRK health care system, Ponghwa Clinic does not experience shortages of equipment, supplies, pharmaceuticals, food and electricity. The Ponghwa Clinic is technically part of the DPRK hospital system which is subordinate to the Ministry of Public Health. 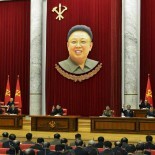 It derived from the implementation of the DPRK’s hospital system and basic medical service policies in the late 1960s. It was founded in 1971 based on an instruction from Kim Il Sung to his personal physician. It was modeled after the Central Clinical Hospital in Moscow, which treated senior Soviet officials (i.e. Andropov, Chernenko). The Ponghwa is not the only hospital available to senior DPRK elites in Pyongyang. There are also the Namsan Hospital, the MSS Hospital, the MPS Hospital, Kim Man Yu Hospital and the Pyongyang Medical College Hospital, however Ponghwa Clinic is the most exclusive. There are no accounts of foreigners either visiting or receiving treatment at the Ponghwa Clinic. Foreign visitors to the DPRK are treated at Pyongyang Medical College Hospital, the IORC Hospital or Pyongyang Friendship Hospital, the latter two located in east Pyongyang. The Ponghwa is also not included in tours of DPRK medical facilities conducted by the World Health Organization and other NGOs. The only accounts of foreigners visiting the Ponghwa are unconfirmed reports that a team of Chinese doctors treated KJI there in 2008. The Ponghwa Clinic has been sanctioned by Japan under UNSC resolutions after the attempted purchase of freeze drying equipment which can be used in the production of biological weapons. Medical services at Ponghwa are restricted to core members of the DPRK leadership. Its patients include: members of the extended Kim Family; those who have the title (or equivalent) of Cabinet Minister; members of the Political Bureau, Central Military Commission or Secretariat; department directors and vice directors of the central party. In some cases DPRK officials have been given a job title which serves as a cover to provide them access to service. Deceased DPRK elites who have received treatment at Ponghwa include: NDC 1st Vice-Chairman, VMar Jo Myong Rok; CC KWP Secretary Kim Jung Rin; and, CC KWP Vice (Deputy) Department Director, Ri Yong Chol. 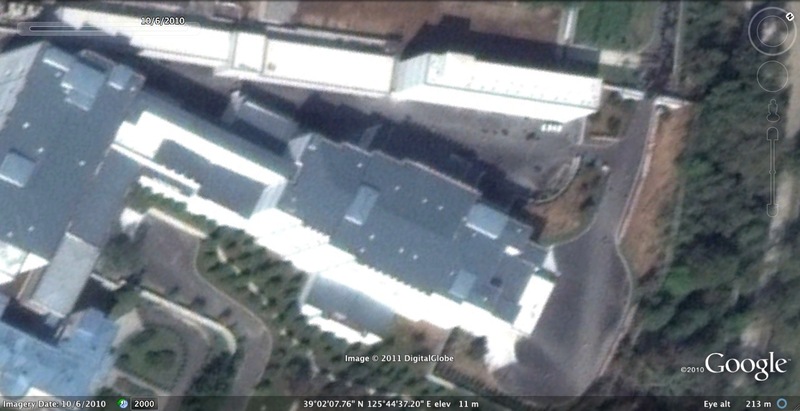 In some cases, North Korean elites receiving treatment at Ponghwa are referred to hospitals located outside the DPRK. In the past, Kim Jong Il received medical treatment at the Ponghwa. Since the late 1980s, KJI has been attended to by a separate, personal medical service. Equipment and personnel for KJI’s health has been observed during his trips outside the country, most recently during his August 2011 trip to Russia and China. KJI also has his own medical clinic (technically part of the Guard Command) located west of his office complex in central Pyongyang. 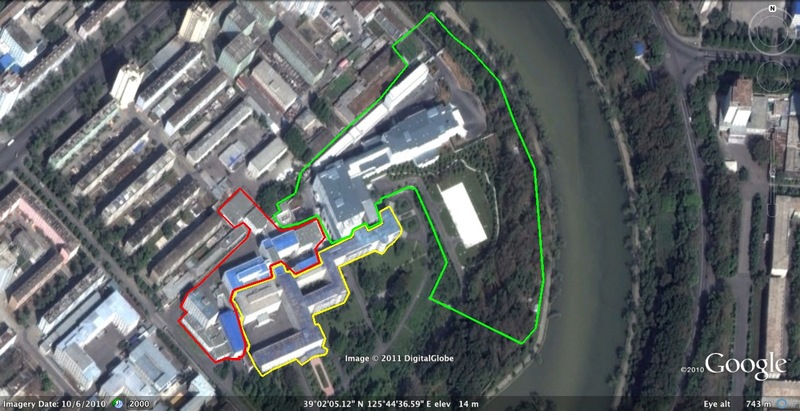 When he is working in Pyongyang, KJI receives a daily medical examination at this facility. This entry was posted on 10/12/2011 by nkleadershipwatch in Central Committee, Central Military Committee, Guard Command, Kim Family, Kim Jong-il, KJI Personal Secretariat, Korean Workers' Party (KWP), kpif, Ministry of Capital Construction, ministry of people's security, Ministry of Public Health, National Defense Commission (NDC), Organization and Guidance Department, Political Bureau, population control, Secretariat.